An Arabian Prince Costume including a Top, Waistcoat, Trousers, Belt, and Turban – Ideal for an Around the World theme, or any fancy dress occasion! 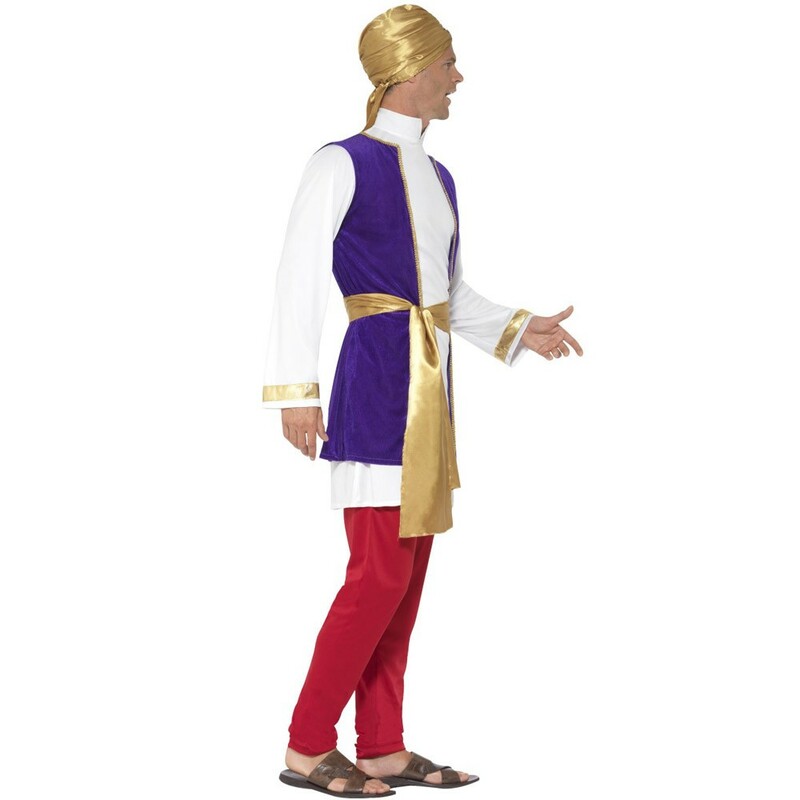 Start your adventures in the Arabian Desert with this brilliant Arabian Prince Costume. 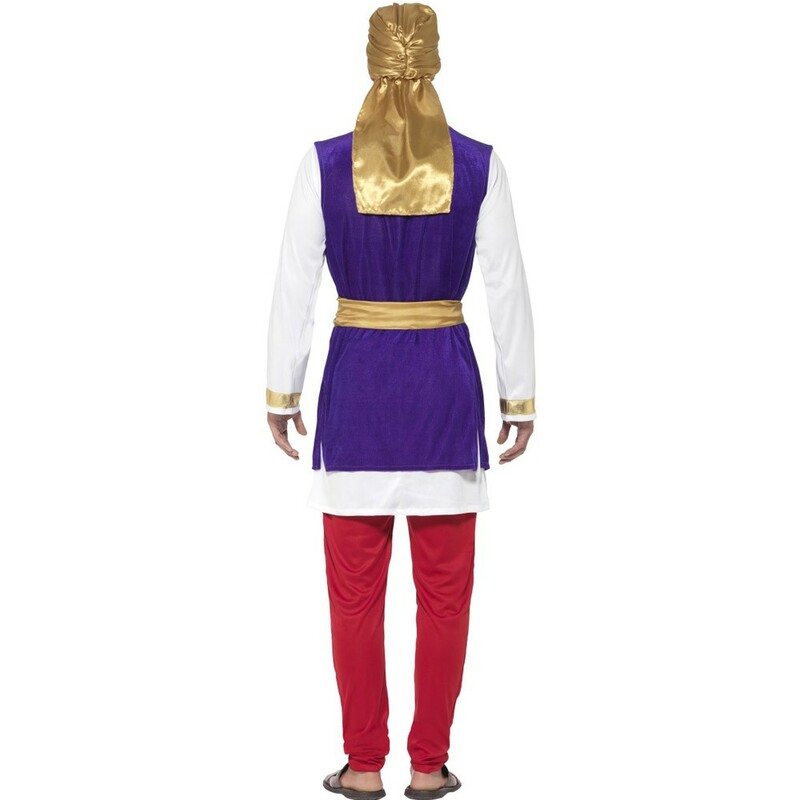 This Arabian Prince Costume comes complete including a Top, Waistcoat, Trousers, Belt, and Turban. The White long sleeve Top features a gold strip around the arm cuffs, whilst the purple Waistcoat features a gold trim to add a splash of colour to this fantastic look. The red Trousers feature an elasticated waistband for comfort. Add the finishing touches to this Arabian Prince Costume with the Gold Belt which ties around the waist, and the Gold Turban which features a red jewel in the centre. Perfect for an Around the World theme, a Fairy Tale theme, or any fancy dress occasion, this Arabian Prince Costume will be sure to impress! 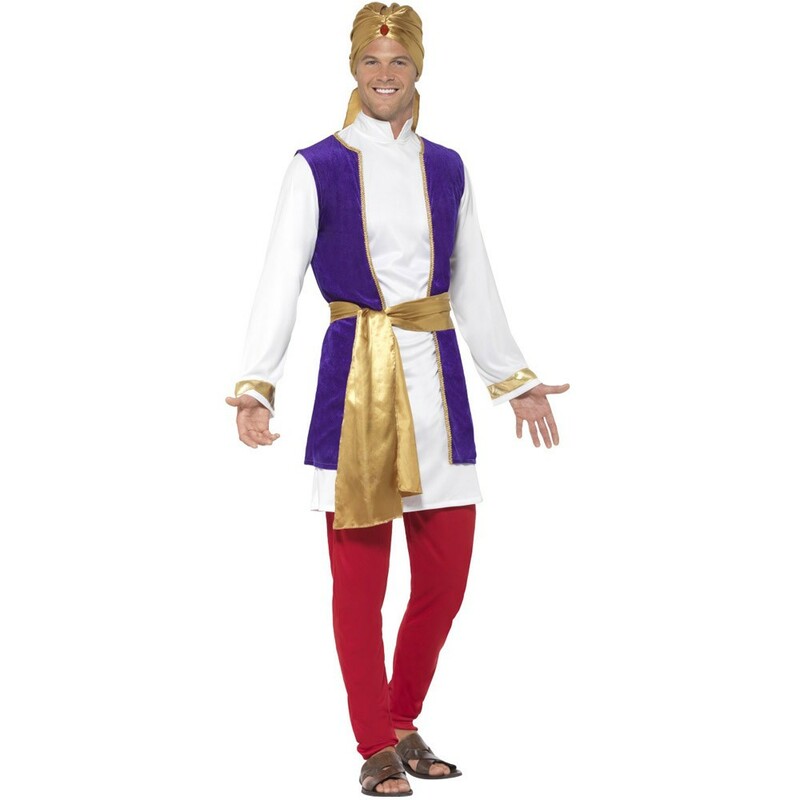 So party in style with this wonderful Arabian Prince Costume!